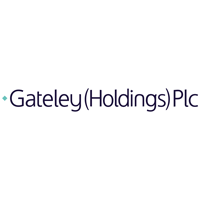 Gateley (Holdings) Plc (LON: GTLY), the law led professional services group, has today announced a trading update ahead of the release of its half year results for the six months ended 31 October 2018. The Board is delighted with the strong performance of the Group in the period with strong growth evidenced from the successful execution of both our organic and acquisitive growth strategy and the well balanced nature of our resulting expanded service lines. Group revenue for the six months ended 31 October 2018 is expected to be not less than £46.4m, an increase of 20% as compared to £38.6m for the six months ended 31 October 2017. Revenue growth attributable to the acquisitions of GCL Solicitors and Kiddy & Partners announced in May and July 2018, respectively, accounted for approximately half of this increase. Current activity levels remain encouraging despite the backdrop of political and economic uncertainty and the Board has continued to invest for the future with total staff numbers rising from 791 as at 30 April 2018 to 928 as at 31 October 2018. 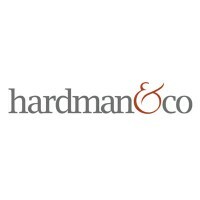 Acquisitions of complementary non-legal businesses remain a core part of the Group’s growth strategy to enhance its service lines and cross sell to a widening group of its clients. The Board is delighted with the contributions all four post IPO acquisitions have made to the Group to-date. The Board looks forward to the second half of the financial year with confidence and now expects the Group to generate revenues of not less than £102m for the year ending 30 April 2019 with an EBITDA margin comparable with that achieved in 2018. The Board expects to announce the Group’s half year results on 8 January 2019.